Some of my favorite recipes come about as happy accidents and this Roasted Brussels Sprouts Salad is a perfect example of that! Way back when, about 2 months ago when we were prepping for one of our many Thanksgiving feasts, I apparently volunteered to make a side dish. But low and behold when the day of the party rolled around all I wanted to eat was a salad. I think it was our 4th Thanksgiving celebration by that point and I was over it. I needed some simple greens but felt compelled to stick to my side dish task so I just combined the two to make this Roasted Brussels Sprouts Salad. Morale of the story is this can double as a salad or a side dish. For those of you out there who can’t make up their minds all the time (like me) well, you’re welcome. Roasted Brussels Sprouts (you know the ones that have a bit of a crunch when you bite into them!) are combined with my favorite balsamic vinaigrette and a large handful of pomegranate seeds. Just wait until you take a bite – it’s the perfect combination of crispiness from the Brussels, bursts of flavor from the pomegranates and a bit of acid from the vinaigrette. Place the halved Brussels Sprouts on a parchment lined baking sheet. Drizzle with olive oil and season with salt, pepper and red pepper flakes. Transfer the baking sheet into the oven and roast for 25-30 minutes until the sprouts are fully cooked and the edges are crispy. 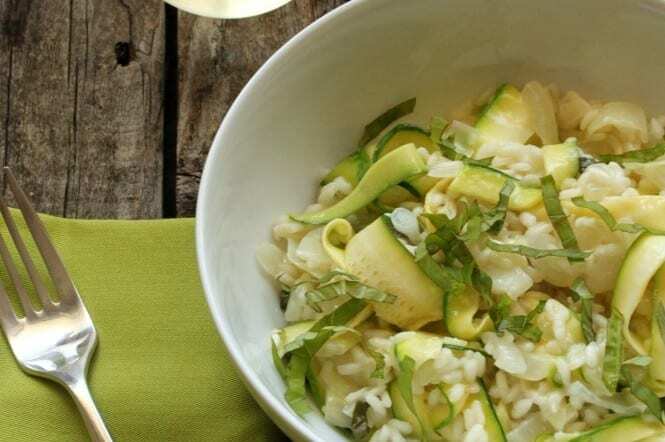 In a large bowl, whisk together the olive oil, balsamic vinegar, garlic, salt and pepper until well combined. 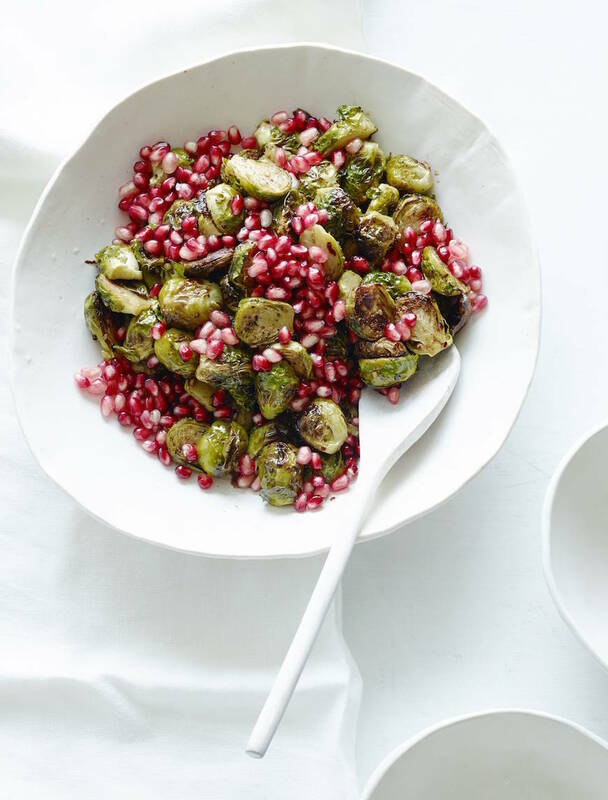 Add the roasted brussels sprouts to the vinaigrette and top with the pomegranate seeds. Toss to combine and serve immediately. This looks great. And perfect for all those on a healthy kick for January. Gorgeous! And I love the idea of roasted Brussels sprouts tossed with balsamic vinaigrette. These is an absolutely beautiful brussel sprouts dish! Love it and want it! 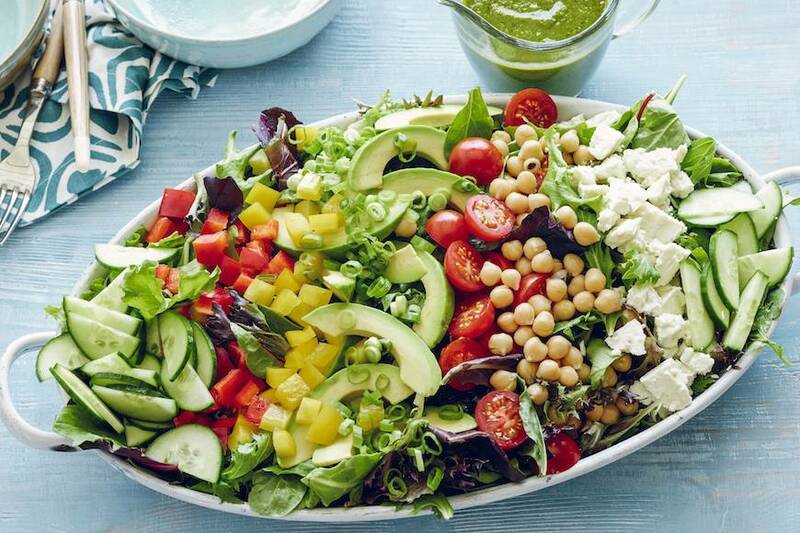 this is my favorite kind of salad- love the flavors and the pretty colors!! Two of my favorites things combined! Genius!!! I am all over this salad, Gaby! 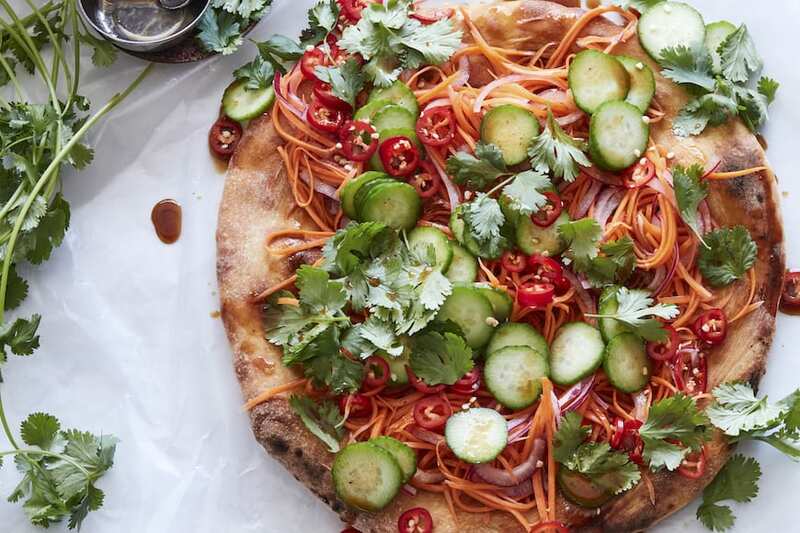 Healthy food never looked so amazing. I’m not usually one for salads, but this one looks absolutely incredible. Love it! Wow!!! This is really beautiful!! This looks fabulous! I love brussels sprouts. This looks sp good. 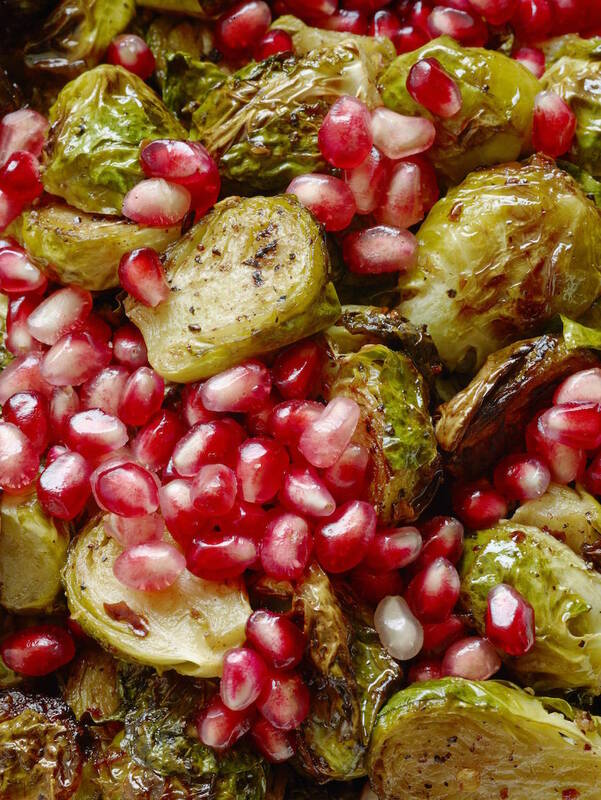 Great combination of pomegranate and Brussels sprouts! I made this but added a chopped bulb of fennel and a roasted sweet potato diced. I used garlic infused olive and white balsamic vinegar. WOW .. scrumptious.